Bethabara is the site of the first Moravian settlement in North Carolina. Located just north of present-day Winston-Salem, Bethabara, meaning "house of passage," was established on 17 Nov. 1753 by 15 Moravian men sent down the Great Wagon Road from Pennsylvania. At first Bethabara was nothing more than a small abandoned cabin located in the northwest part of Wachovia, a 99,000-acre tract of land purchased by the Moravians. Each of the first colonists had a special skill needed to build a settlement in the backcountry wilderness. 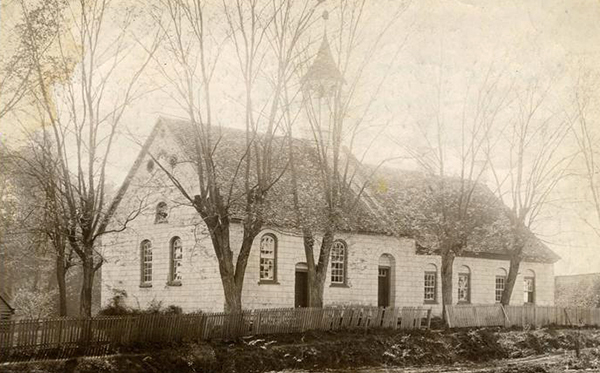 Within a few years they and additional church members sent from Pennsylvania had built a thriving community of log and stone structures, including a church, a tannery, and a mill. English, Scotch-Irish, and other German non-Moravian settlers from near and far came to Bethabara to trade. Given its location along the Great Wagon Road and the number of craftsmen making up the settlement, Bethabara became an important economic center on the North Carolina frontier. When the French and Indian War broke out in 1754, refugees from the outer settlement areas began to arrive at Bethabara looking for shelter and protection. By July 1756 the war was going so badly for the colonists that the Moravians built a stockade around the Bethabara village. As the Indian attacks came closer to Bethabara, the number of refugees grew, soon outstripping the Moravian population. In April 1758 another stockade was built around the mill to protect it and the approximately 200 refugees gathered there. Not until 1761, when the war slowly wound down, did the refugees leave and life at Bethabara return to normal. After the war Bethabara continued to grow. In 1765 the community received instructions from church leaders to begin construction of the new town of Salem, more in the center of the Wachovia tract. Perhaps the last notable event in the history of the thriving Bethabara village came in June 1771, when Governor William Tryon encamped his army nearby after his victory over the Regulators at the Battle of Alamance. Within months all of the key industries and craft operations were moved to Salem along with most of Bethabara's population. During the Revolutionary War, Lord Cornwallis marched his English army through Bethabara in February 1781, causing great consternation by confiscating livestock and supplies. By then the few Moravians that remained at Bethabara worked primarily on the farm or at the mill or distillery. By 1820 most of the buildings in Bethabara were gone. The few people left farmed open land that once held a thriving community of industry and activity; for all intents and purposes, the first Moravian settlement site in North Carolina had ceased to exist. C. Daniel Crews, Through Fiery Trials: Moravians and the Revolution (1996). "Historic Bethabara Park." City of Winston-Salem Recreation & Parks Department http://www.cityofws.org/Home/Departments/RecreationAndParks/BethabaraPark/Articles/BethabaraPark (accessed August 31, 2012). "Bethabara." National Historic Landmark Program, National Park Service. http://tps.cr.nps.gov/nhl/detail.cfm?ResourceId=428363735&ResourceType=District (accessed August 31, 2012). Wiley, Mary. "Our Visit to Old Town—A Lesson in Local History." North Carolina Journal of Education 3. No. 7. February 1900. p.16. http://digital.ncdcr.gov/u?/p249901coll37,14333 (accessed August 31, 2012). Connor, R. D. W. "The Beginning of Wachovia." Program Of Exercises North Carolina Day. Raleigh [N.C.] State Superintendent of Public Instuction. 1908. http://digital.ncdcr.gov/u?/p249901coll22,460601 (accessed August 31, 2012). Pfohl, W. S. "The Guardian Angel: A Legend of Bethabara." Program Of Exercises North Carolina Day. Raleigh [N.C.] State Superintendent of Public Instuction. 1908. http://digital.ncdcr.gov/u?/p249901coll22,46060 (accessed August 31, 2012). "Photograph, Accession #: H.1946.14.49." Bethabara Church, Forsyth County, N.C., circa 1890-1910. Image from the North Carolina Museum of History.